Time is a valuable asset, and older adults want to spend theirs wisely. That means dedicating afternoons to spending time with friends, receiving care, exercising or soaking in the fresh air. While family members can facilitate those activities when they're around, who is left to do so when regular caregivers have to work or tend to their children? The solution: Adult day services. Just about everyone knows about assisted living communities, but many have never heard of adult day services. Instead of residing in an assisted living community or senior living community, individuals who attend these programs can instead just stay during the day and receive all the benefits of a resident. Seniors may prefer this option to residing in a care center because they can still live at home or with a caregiver, which is cost-efficient and allows them to stay close to their loved ones. Caregivers benefit from adult day services because they can go to work, tend to errands or other necessities and know their senior friend or family member is being cared for in a safe environment. 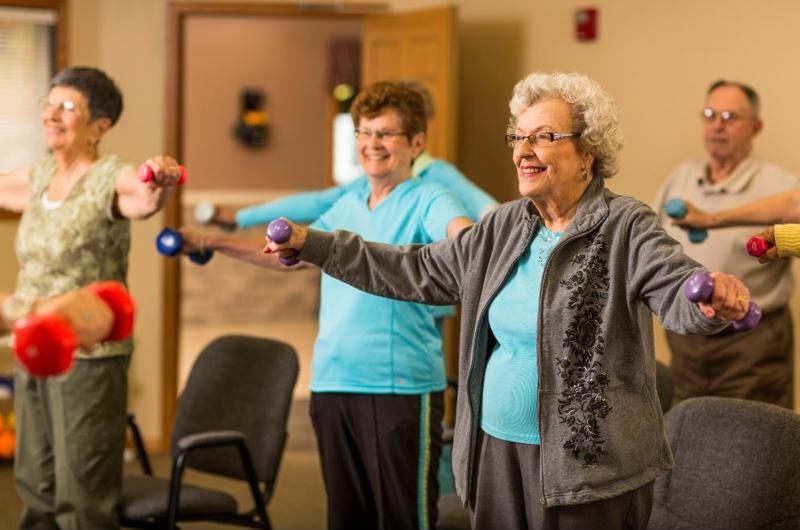 Adult day services typically offer amenities similar to those available to full-time residents, such as 24-hour staffing and nurses, an outdoor courtyard and planned daily activities. Seniors can receive help with grooming, administering medications and enjoy nutritional home-cooked meals and snacks. Those who have dementia or Alzheimer's can receive care from staff members who are trained in these memory loss diseases. Adult day services includes programming and activities that are entertaining and fun. Should my senior loved one try adult day services? Some families feel they have to take care of their senior members every moment of the day. This is a truly wonderful thought, but it's not always possible. Due to jobs, kids and other commitments, you likely won't be able to offer the level of care your senior family member needs at all times. What if you have to go out of town for work, for example? What do you do if your high schooler's sports team has a game out of state and you'll be gone for the entire day? Adult day services are available for those times when you need a safe environment for your senior loved one. Adult day services don't only provide senior attendees with watchful caregivers for when you need a break, seniors enjoy the opportunities there. Daily programming may include fun classes like painting therapy for those with Alzheimer's disease or watching a live band. It's also an awesome way for seniors to make friends. While living in a caregiver or family member's home, many seniors don't have access to time spent with others their age. Adult day services integrate visiting seniors with residents, promoting friendship and socialization at meal time and during programming. Both seniors and caregivers appreciate the care and opportunities provided by adult day services. Consider having your loved one try out this type of programming.